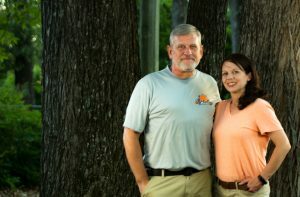 Bryan & JoAnne Swihart are the owners and head trainers for the Off Leash K9 Training program in Peachtree City, Smyrna, Athens, Columbus, and Augusta. We moved to the Atlanta area to settle near family after opening successful locations in Charlottesville, Virginia and Pittsburgh, Pennsylvania. Bryan is an Army veteran with multiple deployments; while deployed he was impressed with military working dog’s impeccable obedience training and high level of confidence enabling them to be the most well trained canines in the world. Bryan has a lifelong love of dogs starting with his first dog “Squeak,” who used to sleep under his crib every night. 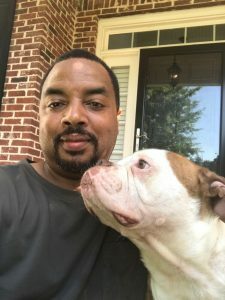 He has owned and trained a wide assortment of dogs ranging from Chihuahuas to Pitbulls; including his current comrades, a Rejected Labradoodle, American Staffordshire Terrier Mix, and the newest addition a German Shepherd Hound Mix. Bryan has a special love for “Bully Breeds” and wants to empower people to showcase what wonderfully loyal and loving dogs they really are. After serving in Iraq and Afghanistan, he can now focus where his passion is. 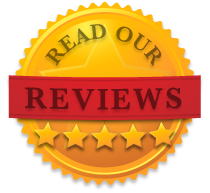 With a degree in business and finance giving him a solid small business foundation, with the precision and passion needed to transform your dog from unruly to obedient, frightened to confident, timid to content. JoAnne’s passion is transforming fearful and anxious pups into stable confident members of the family! This passion began 4 years ago while fostering an extremely fearful young pup, who soon became a beloved member of the family. Obedience training helped transform the dog from a dog who was terrified of people to a super snuggle bug and constant companion for their 2 year old son. 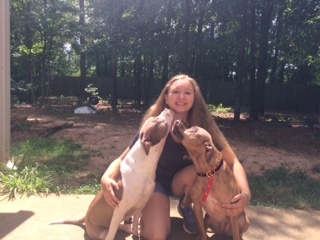 JoAnne has background in business and biological research and left her corporate career to join her husband in running Off Leash K9 Training, Georgia full time 2 years ago. 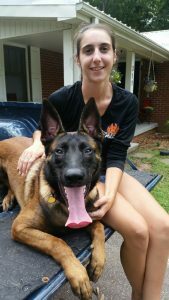 Bryan and JoAnne are thrilled to bring Off Leash K9 Training to Georgia, specializing in the same obedience training techniques used by the military and law enforcement. 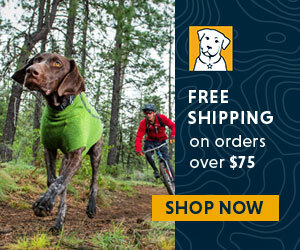 This style of training encompasses his core beliefs and philosophy of consistency, fairness, and crystal clear communication that will turn your dog into a well behaved member of society in any situation. 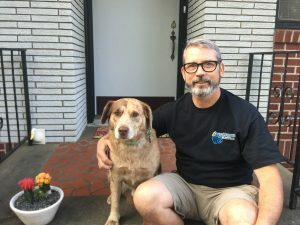 Brett Lawrence has been working with animal shelters and training dogs for almost a decade, having now dealt with thousands of dogs he understand more than most that all dogs are NOT the same! 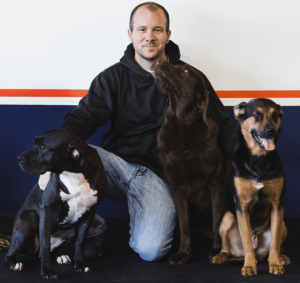 Dog training was something that came natural to Brett at a very young age which developed in to his passion; he now specializes in aggressive and fearful dogs. These are the dogs that give him the most satisfaction once the training is complete, because of all of the hard work he has to put in. 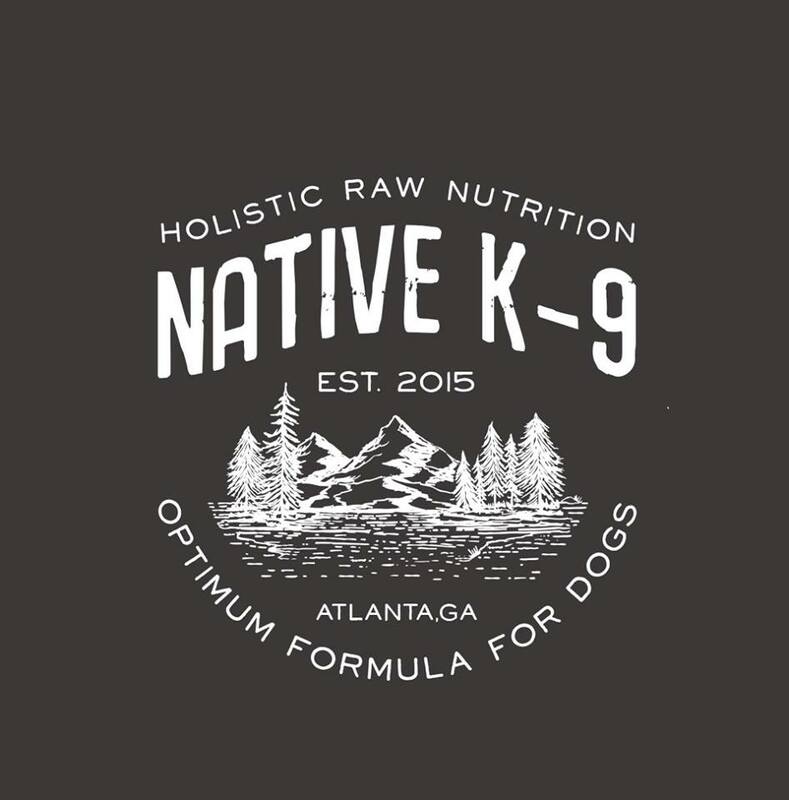 He is also the owner of a raw natural dog food company called Native K9 Diet link>>(www.nativek9diet.com)<<link Check out his website for more info. Antione Brown is a retired US Army Veteran that served 21 yrs and has been professionally training for the over 9 years. His passion is shown with his 4 personal dogs a 3 year old boxer, 3 year old American bulldog, 7 month old bully and a 14 year old Yorkie. Antione has trained under Craig Walton from Atlanta K9 in Atlanta for 4 yrs, worked with Topp Dogg Blake Rashad, trained with Sit Means Sit for 4 years, and has worked with some of their best trainers such as Jim Closson from Boise, Idaho, Dave Skoletsky from Boston, Mass and Darin Shepard from Atlanta. He has also trained with Mike Upshur who specializes in police K9, tracking, scent work and protection. He is a CGC certified evaluator and currently working on becoming a certified scent work instructor. Taylor Lam as born and raised just outside of Atlanta with a love for all living creatures. She grew up in a multi-dog household, having at one point a total of 5 dogs ranging from small dachshunds to large pitbull/mastiff mixes. From a young age, she had a passion for helping animals of all shapes and sizes. Taylor attended the University of Georgia in Athens where she received her B.S.A. in Avian Biology. All throughout college, she volunteered with local humane societies, kennels, and veterinary clinics. After college, Taylor worked for a canine rescue organization called RescueMe, that specialized in disabled and diseased canines. There she learned about canine nutrition and its role in canine health as well as how to train and assist dogs with disabilities. By combining her animal health knowledge and her knowledge as a dog trainer, she has been able to create a unique learning and training experience for all of her clients and their fur-kids. She enjoys being able to help dog owners gain a deeper relationship and bond with their canine companions through patient, persistent, and positive training. Jeff and Missy Gettings have had almost every pet known to man, from Solomon Island Eclectus parrots to Egyptian Arabian horses and everything in between. However, it has always been their dogs that have held a particularly special place in their hearts. Jeff has a background in financial analysis, while Missy’s background is in counseling; however, their passion is training dogs. They decided to turn their passion into their careers. As a team, they are committed to providing the most effective and convenient solutions to meet their clients’ needs. They decided to become professional dog trainers in order to help dog owners live better, more fulfilling lives with their pets and best friends. John Slemp, a native of East Tennessee, grew up with a love for dogs and a passion for education. From childhood through college, John owned and trained several different breeds from miniature Dachshunds to Doberman Pinschers. After completing Basic and Advanced Lessons through Off Leash K9 Training, John and his German Shepherd, Nyla, experienced the amazing results of this training method. 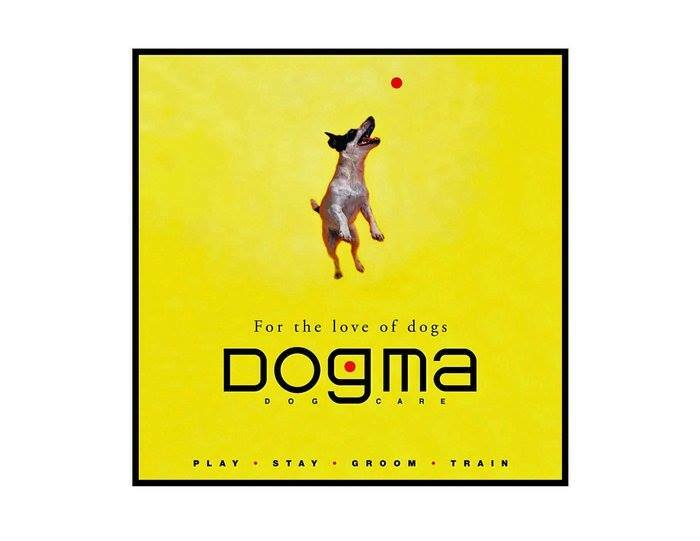 Inspired by OLK9 methodology and building upon his background in education, John is dedicated to helping other dog owners develop a well-mannered, obedient dog of their own. Sam Mirtsopoulos has grown up in a family particular fond of German Shepherds! She originally found her passion for training after getting her first dog as an adult, a Shar Pei Beagle mix. Every trainer she talked to, told her that her dog was “untrainable”. From there she was determined to learn everything she could about training dogs. Sam began her education by attending the Animal Behavior College (ABC), volunteering at her local shelter and rescue organizations. She loved getting her hands on as many different dogs as she could to help increase their adoptability. After working at a police K9 kennel, she decided to go to the Michael Ellis School for Dog Trainers in California. The amount of knowledge she gained from that experience is priceless. While there she worked closely with Michael Ellis and many other fantastic trainers such as Forrest Micke and Andrew Ramsey. Also while being there, she fell in love with protection sports and the Belgian Malinois breed. 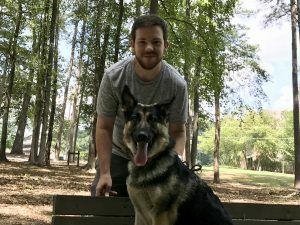 Now Sam enjoys helping people build strong relationships with their dogs through Off Leash K9 Training Georgia! Ryan Wuelfing started his dog training career training, Therapy Dogs with Paws for Healing out of Napa, CA in 2007. After that he apprenticed with Sonny Henager of Clearview Kennel for almost 3 years as the kennel manager while learning how to train pups in basic obedience, behavior modification, bite work, and detection. 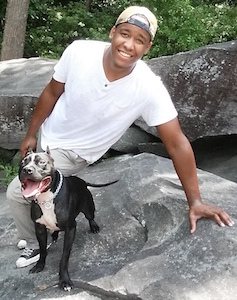 He then moved to Potsmouth, RI to work and train with Matt Betts of K9 Instinct with a focus on advanced obedience, puppy management, extreme behavior modifications, bite work, and detection. Ryan love is working with therapy dogs but he is verse in everything dog, from basic to advanced obedience, puppy management, behavior modification, bite work, detection, tracking, search rescue, decoy, and anything else that will allow an owner to enjoy their pup more! 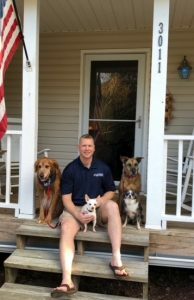 Greg Morris was born and raised in Vero Beach Fl, where from an early age he developed a love and passion for dogs while helping his father raise and train their hunting dogs. A United States Navy veteran, he was deployed on multiple cruises in the Persian Gulf during Operations Desert Shield and Desert Storm. After serving he pursued his other passion of cooking, becoming an award winning Pit-Master at one of Atlanta’s most renowned BBQ restaurants. But his love and passion for dogs never ceased, only growing stronger. After Buster, his chocolate Lab of 15 years, passed away, he decided that life was too short and that if you were going to do something, you should do the one thing you love. He began to spend all of his free time volunteering at local shelters and rescue missions, watching and learning dog behavior at all levels. After researching and observing dozens of local trainers he was most impressed with Off Leash K9’s methodology of obedience learning, confidence building and the extensive knowledge of all the trainers. He lives with his wife Terri and their thrice rescued pup Toby with a backyard that is a doggie heaven. Greg has a special fondness for rescue dogs that suffer from anxiety and fear issues, taking great pride in reforming and building confidence in them. His goal is to help create that special bond between dog and owner that forms with our obedience training programs and to make sure that you walk away from a lesson with all questions answered and a smile on your face! Rob Summe is an Atlanta native and United States Marine Corps Veteran. He spent 20 years in Law Enforcement and maintains his GA P.O.S.T. certification. Rob worked the uniform patrol division, criminal investigation division and was a member of the SWAT team. Rob was also a canine handler for 8 years and a police canine trainer for 4 years. He is a certified trainer in the areas of obedience, aggression control, tracking/trailing, article searches, area/building searches and narcotic detection. Rob is also the owner of a security consulting business called Konflikt K9 LLC. 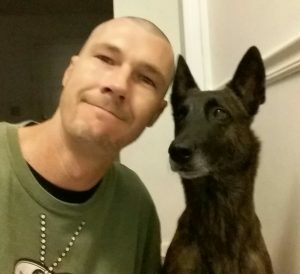 Rob has dedicated his life to training and working with all types of dogs. He thoroughly enjoys helping build the relationship between dog and owner.